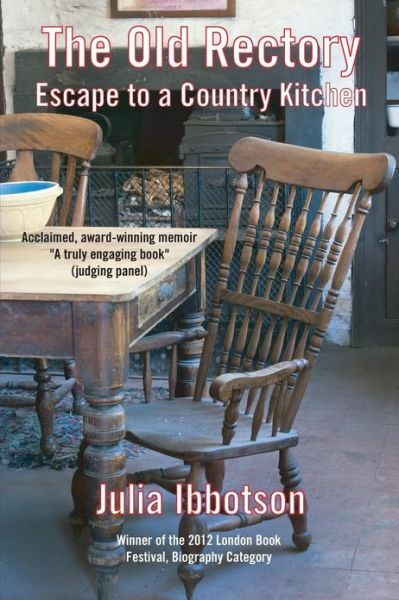 I love learning about how and why authors choose their material, and I love even more when authors find inspiration in their normal lives, so when I was offered the opportunity to have Julia Ibbotson write a guest post about her amazing book, The Old Rectory: Escape to a Country Kitchen I had to accept. I think her story is compelling, and I want to make all the recipes RIGHT NOW. But don’t take it from me, let Julia tell you about it in her words. English afternoon tea and cakes in a Victorian rectory…. I wrote my first novel at the tender age of 10 years old, and I was desperate to be an author. The book was about my passions at the time: horses, farms and childish adventure, set in quintessential English countryside with afternoon tea and cakes on the large rectory lawn after a gallop in the hills…a local mystery solved over tea, in a sort of early teashop/coffee house mystery style. The stuff of romantic dreams for a little English girl from the city suburbs! But it never even made it to the publisher’s desk, and remains unpublished to this day! Then, many years and two marriages and a long career in education later, on a romantic whim, my husband and I bought a dilapidated Victorian rectory in the middle of the English countryside, a mile from the nearest village, and spent the next four years renovating and restoring the house and gardens to their former glory. I researched the house’s history: who lived there? What was it like for them? What happened to them? And because I love cooking for family and friends, I also wanted to incorporate recipes in my book: what were our family favourites? What recipes did previous occupants make? What did they eat in Victorian times or in the world-wartime when food in England was scarce? I documented it all and found my friends from across the world loving the idea: “Write a book about it!” Biting my nails with doubt, I decided to take a chance. It was to be, I decided, the true story of our renovation of the rectory, but also about the history of the house and the village, and, because the kitchen was, and is, the heart of the home, I wanted food to somehow be the thread that held it all together. So I included recipes at the end of each chapter: cream scones, chocolate fudge cake, sticky toffee pud…. I wrote every weekend after a long week at work as a senior university lecturer. I wrote in my vacations. I took some annual leave simply to write. Once again, the creative juices began to flow, after many years of writing academic texts to a formula. I found that I was really enjoying it; so much so, that if I didn’t get to write on a particular day I felt lost. Yes, some days it was hard going, some days I spent far too long on the distractions of Facebook and other social media, some days there was too much coffee drinking. At times I doubted my ability to write a whole book. But overwhelmingly I loved it. And gradually I got into a routine of writing and scheduled my days in the same way that I scheduled my professional days in my paid work. After all, I wanted to be a professional writer! My book took shape and took on a life of its own. And then it was adopted first by an American publisher and now, this year, by a UK publisher. It felt wonderful! An author at last! The Old Rectory has won awards at international book festivals and five star reviews, so this new author is beaming over her tea and cakes on the rectory lawn – or even over bubbly and chocolate fudge cake (from the recipes in the book, of course)! 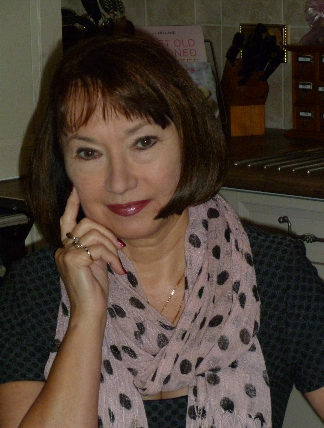 I am now engaged in writing the first novel of a trilogy which follows a woman’s life through from the 1960s to the millennium. The first is called Drumbeats and will be out later this year; it’s set in the 60s in West Africa. It is a story about romance and tragedy against the backdrop of a small war-torn nation, about a young girl finding out what it means to grow up. Please do look out for it. Like The Old Rectory it will be available from amazon.com, amazon.co.uk, and Barnes & Noble, in paperback, Kindle and Nook. Thanks for sharing my English afternoon tea and cakes on the rectory lawn today! This post is part of a virtual blog tour. In Their Words: a guest post from Julia Ibbotson by Melissa Bartell is licensed under a Creative Commons Attribution-NonCommercial-ShareAlike 4.0 International License. Thanks for hosting Julia today, Melissa! Thank you so much for hosting me today,Melissa. And thank you for your lovely kind words!